In episode 44 of Talk Back, hosts Justin Gay and Eric Nesbit once again put the full-court press on the hottest topics in the NBA, including the rise of the Sixers, the battle for the West between the Rockets and Warriors, the demise of the Spurs, and a listener question about Thunder center Steven Adams. In segment two they discuss how Kevin Harvick and the Ford drivers are dominating NASCAR, the intrigue behind rookie Bubba Wallace, and the introduction of the idea that Tiger Woods is truly ... See More preparing for a run at another green jacket in Augusta. 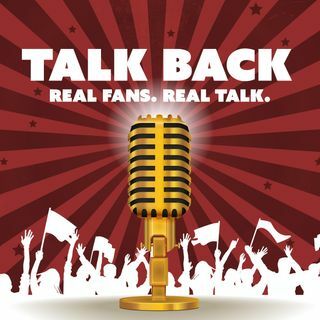 Follow the podcast on Twitter and Instagram at @TalkBackFanTalk, enjoy the show!